We’ve all been there, and chances are your clients are saying this too. The holidays are a perfect time to get an album into your client’s hands, so we’re going to show you just how to sell more albums this Christmas and holiday. The bottom of this post will have copy+paste email templates and a gorgeous holiday sale image for you to download for free! 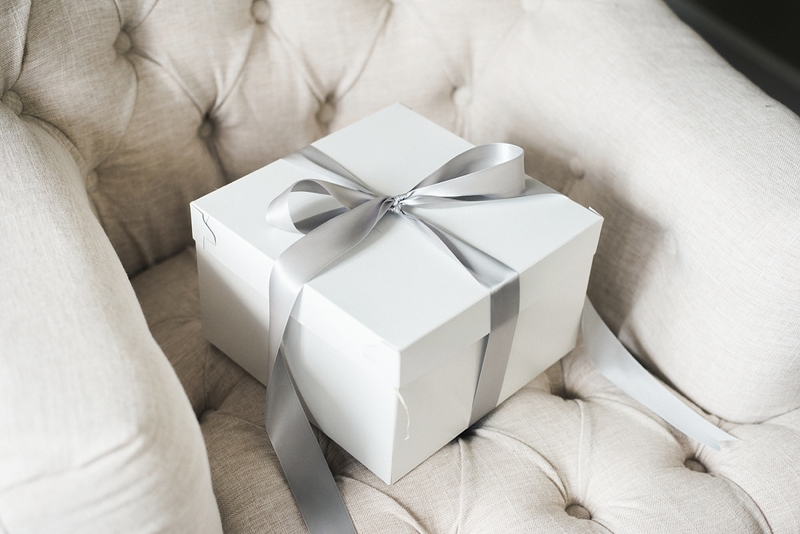 Your clients need gifts– and you’ve got the answer. It’s time to dust off your client list and connect again! No matter if they’ve never purchased an album or could use a parent copy, just reach out and start the conversation. You’d be surprised at how easy this sale can be. Just follow the short steps below- you’ve got this! Step 1: The perfect season for a sale. Start the conversation by letting them know you’re running a holiday sale. This simple incentive is often all it takes for customers to purchase their album. Decide what your business can handle. For example, one of our clients offers $150 off leather, and $75 off linen albums if they order before the deadline. 80% of their clients take them up on this. Easy enough! Step 2: Deadlines are your friend. Everyone is busy this time of year, so be sure to set a deadline for this offer. Don’t worry about sounding harsh when setting a cut off date- you’re just ensuring they receive their order on time. We suggest getting your orders finalized in early November, just to give some wiggle room. Here are our deadline dates to help. Step 3: Sort ‘em out. Your customers will fall into one of two categories. Decide where they land and copy+paste our templates right into an email! A: Those who haven’t purchased an album. B: Those who have purchased an album. Let’s say you’re talking with one of your newlyweds. Perhaps they didn’t think they wanted an album at the time, but now they’ve seen your beautiful work and just have to have one! They might have even thought it was too late, so they will be thrilled to hear they can still get one. Hey again, Ben and Kim! …or should I say Mr. and Mrs. Jackson! Still so exciting! I’m sure you guys are still on cloud 9. I wanted to let you know that I just started a holiday sale (can’t believe it’s here already) and instantly thought of you. If we can get an order placed by November 1st, I will be taking $150 off all leather albums and $75 off all linen albums. This gives us plenty of time for your order to arrive before Christmas. I can even ship it right to your destination if you are traveling to see family. Just let me know! If your client has already purchased their album from you, then drop the hint that you’ve got a great idea for Mom’s gift this year! This is a homerun and your client will love to know you’re thinking about them. Offer a duplicate copy of the main book, or step it up a notch by offering to add custom engraving for their loved one (and don’t forget that discount)! You’ve already done the work, so this is just icing on the cake! I’m still thinking about our perfect day together! Can’t wait to hear how you have been! Any fun, end of the year plans coming up? I wanted to let you know that I just started a holiday sale on parent albums, and instantly thought about you. If we can get a parent copy ordered by November 1st, I will be taking $150 off leather albums and $75 off linen albums. This leaves us plenty of time to get your order before Christmas too! If you need, I can ship it to your Christmas destination if you are traveling! Let me know if you’re interested. I can even do custom engraving on the cover to make it extra special! We’re throwing in another tip to make this even easier. Use the image below as an email attachment and share it on Instagram to advertise your sale! We even included a downloadable .psd version so you can make it your own and use it anytime of year! The link’s below the image. Click HERE to download the .psd file, font pack, and helpful guide. Really want to bring them to the finish line? Step 4: You nailed it! Seriously. This is all it takes! Congrats on your extra sales. This is huge. Time to cozy up and enjoy the season! You’ve got the perfect answer to your client’s gift-giving needs, and it happens to sell you more albums! Just follow these 4 steps below- we know you’ve got this. Solve their gift-giving problem & make more money! Let us know how you bring in more album sales during the holidays in the comments below!